It has been nearly six months since I downloaded and started to investigate DakApp, a new app for serious students of classical music. DakApp is one remarkable resource for students. In today’s post, I would like to explain what it is and why it belongs on the iPhone or Android device of all pianists and string players. It is an online video library of masterclasses. Each video shows one master teacher and one student working together. The teachers in the series are master performers on the order of Dmitry Sitkovetsky, Wolfgang Böettcher, Ning Feng and Leonidas Kavakos. (You will find a complete list of the teachers below.) At present, all DakApp masterclasses center on works for either piano or strings, but I would not be surprised if other instruments and voice will soon be added to the DakApp library. How Do DakApp Subscribers Take Part in Masterclasses? There is no charge to download DakApp and install it on either iOS or Android devices. 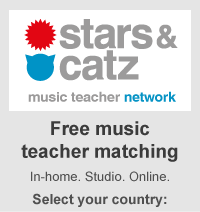 Once you do, you can purchase individual masterclasses for 9.99€ apiece. Unlimited monthly subscriptions to all classes are also available for 19.99€. How Long Is Each Master Class? Lengths vary, but all are substantial. Dimitri Sitkovetsky’s masterclass on the Mendelssohn E Minor Violin Concerto, for example, runs about 90 minutes. And Wolfgang Boettcher’s class on three works for solo cello lasts 47 minutes. What Is Included in Each Masterclass? Each masterclass includes a video interview with the teacher and a video of the masterclass itself. And you can submit written questions to the teacher. That is a wonderful resource – can you imagine asking Jean-Bernard Pommier a question about the Chopin Ballade you are studying, for example? DakApp lets you do just that. What Else is DakApp About? 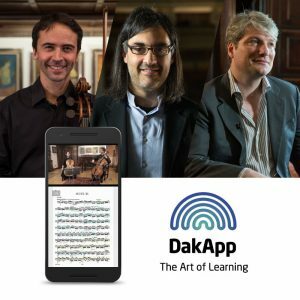 If you visit the main DakApp website, you will discover additional resources such as the DakAcademy, a new kind of music conservatory that lets students audition to perform concerts, connect with fellow chamber musicians, and more. The world of DakApp is fascinating, growing, and ambitious. We look forward to learning more about it in the future. What Masterclasses Are Currently Available?